“Flamenco”—the word calls up an image of a slender dancer in an elaborate, ruffled costume with her fringed shawl and her castanets. Certainly, this stereotype has been perpetuated in everything from airline posters to dolls made for souvenirs. To some, this is flamenco for tourists, as they embrace the cante jondo, the deep song of agonizing lament sung by a man, a cantaora, without accompaniment, or with a single guitar. This, they claim, is authentic flamenco, the blues of Andalucía, improvised in jam sessions called juergas, sung because it must be sung, not because someone is listening or watching. 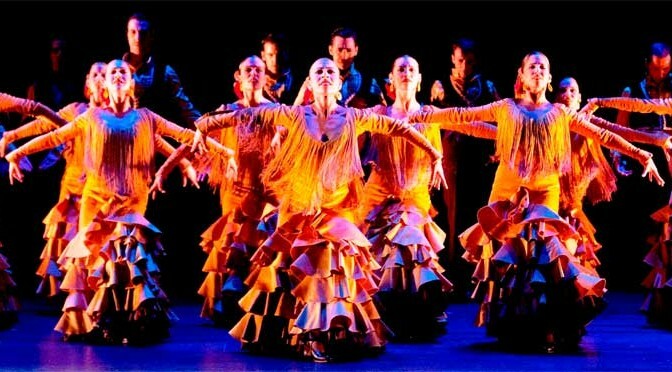 Flamenco music has it’s origins in ancient Andalucian history, possibly well before the Moorish settlements, and is believed by most experts to be a complex amalgam of Iberian, Arabic, Shepherdic, and Gitano musical styles that really matured after the reconquest of 1492, and then over the next few centuries. 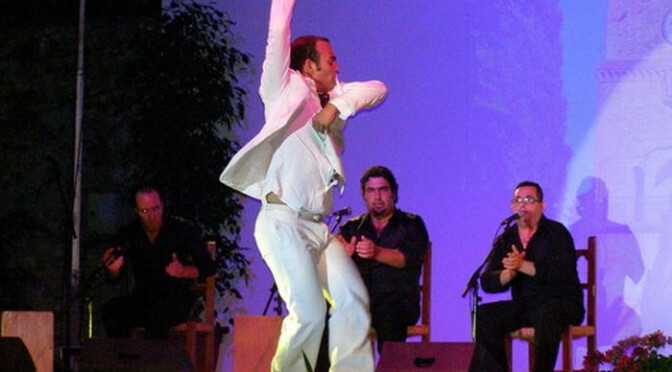 Over the last millenium Flamenco has spread to the rest of Spain and the former Spanish colonies in Central and South America. On the 1st of August 2009, the students of Academy “Pacqui La Bailaora” in Ronda staged a show as part of the Noches de Ronda festivities that had run through most of July and the first week of August. A larger crowd than there were seats turned up, leaving the organising team running frantically to make sure everyone was accommodated, and then the show began. From the first clap of the flamenco dancer’s hands the atmosphere became electric. People in the back rows desperately tried to peer over the rows in front to get a glimpse of the footwoork, all manner of amateur and professional cameras appeared, some even leaving their seats to get better photos from the sidelines. This was a show to remember, made more memorable because the dancers were students, local Rondeños we see in town every day, yet giving everything they had to make this a special evening. Pacqui, the lady who owns the academy didn’t perform, nor did she sing, she simply stood amongst the musicians and clapped, lending real support and a reassuring smile to her students. As a member of the audience I sat enthralled as the dancers stomped their feet, clapped their hands, and danced at the same time. The noise from a single stomp echoed and reverberated around the patio, but with three or four dancers stomping several times per second the noise was deafening, at times drowning out the singer whose voice was carried on some of the largest speakers I’ve ever seen.